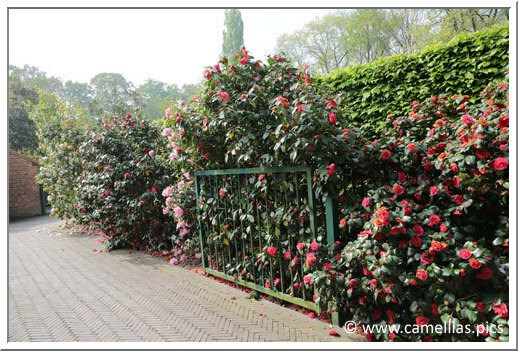 with, among other plantations, 500 camellias. 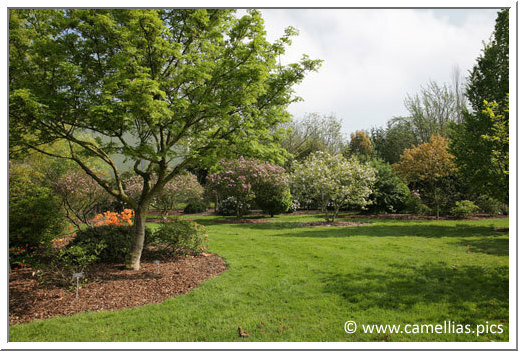 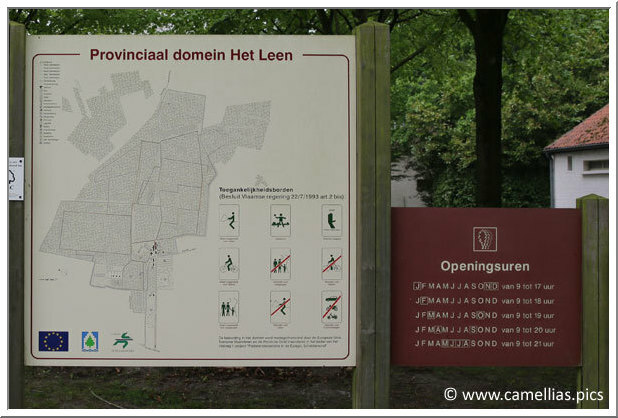 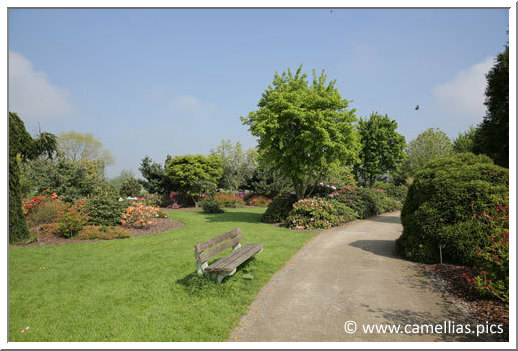 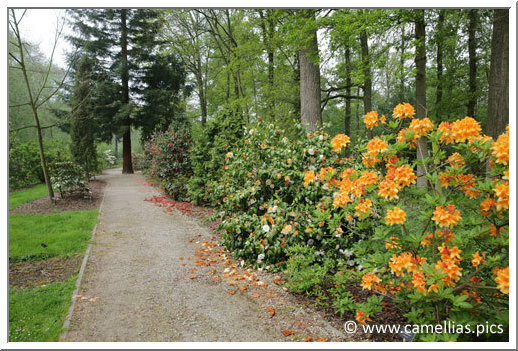 The arboretum extends on a surface of 6 hectares. 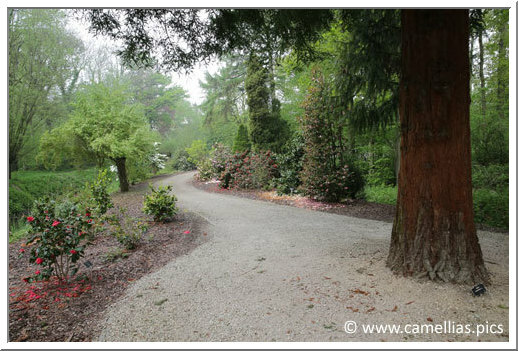 The garden is open to all and constitute a pleasant walk. 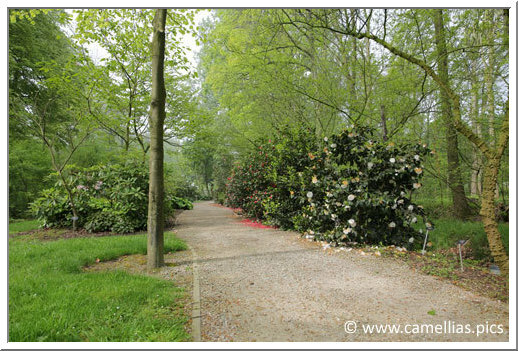 It's better to plan the visit in April so you will be also abble to visit the Royal Greenhouses of Laeken, in Brussels. 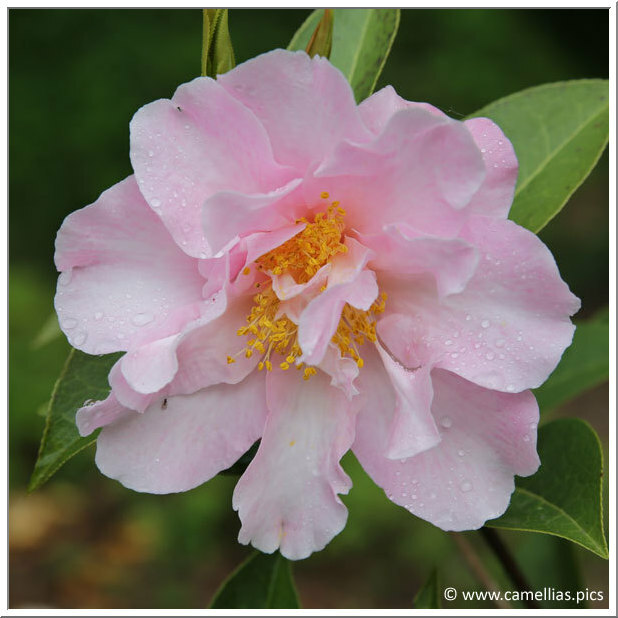 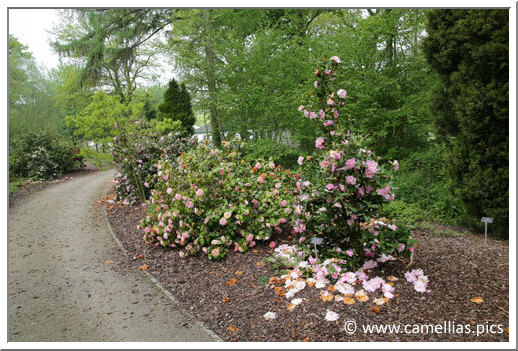 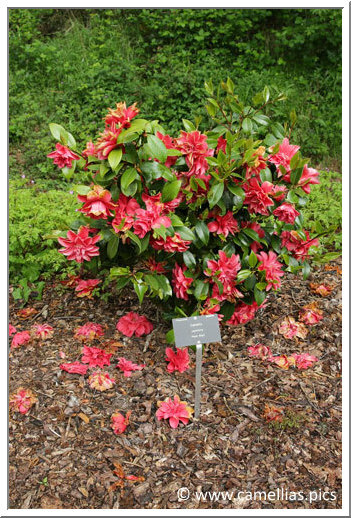 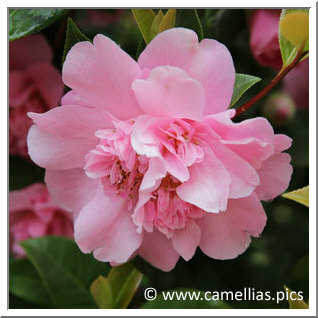 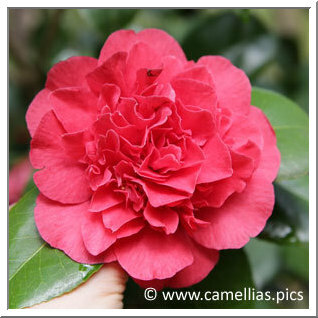 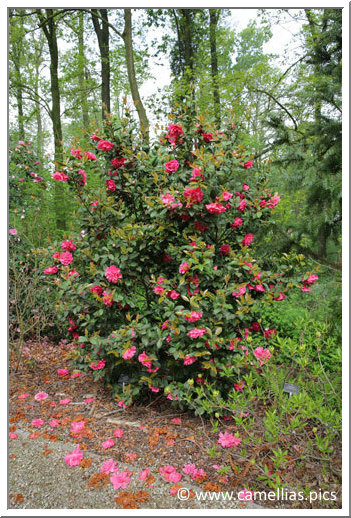 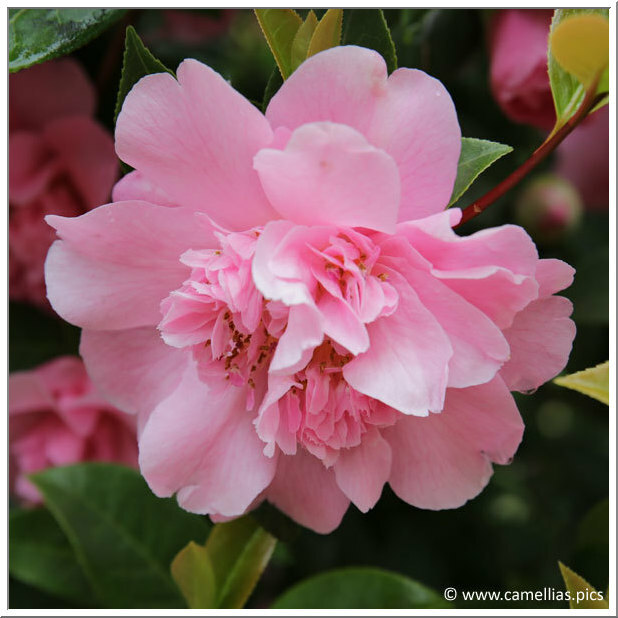 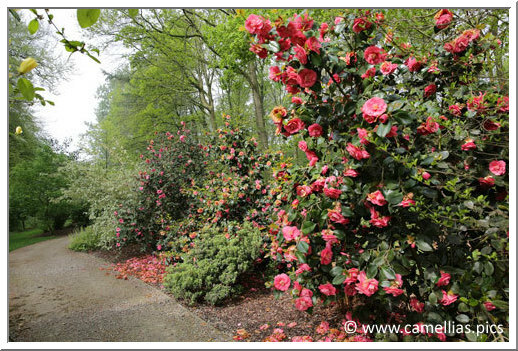 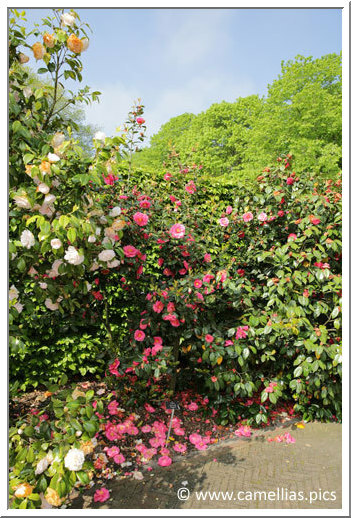 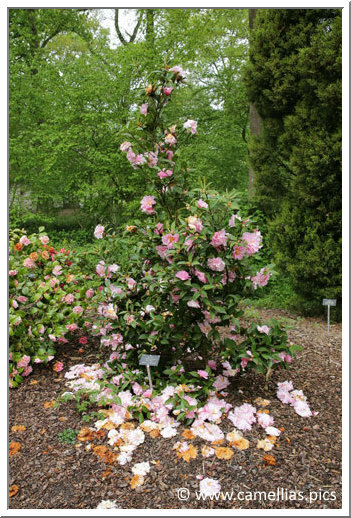 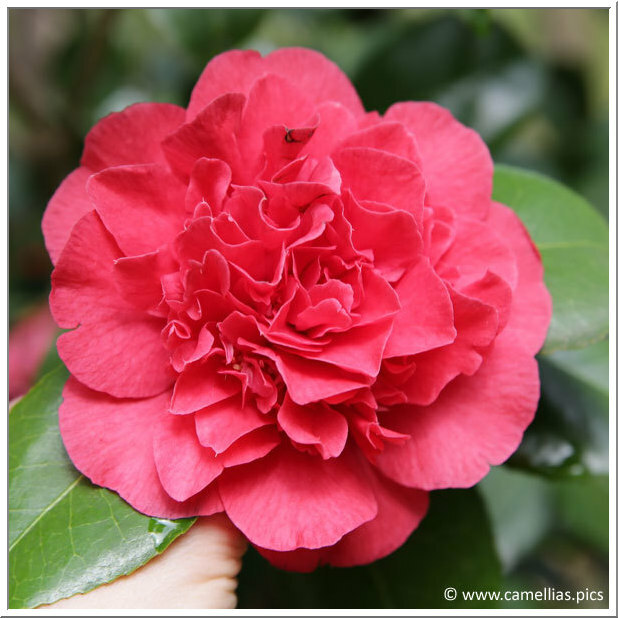 The camellias collection is relatively young (1980) but is very varied and maintained carefully. 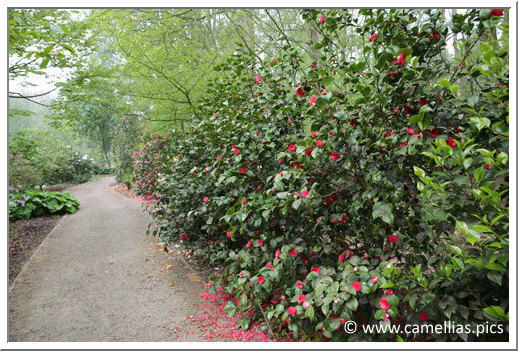 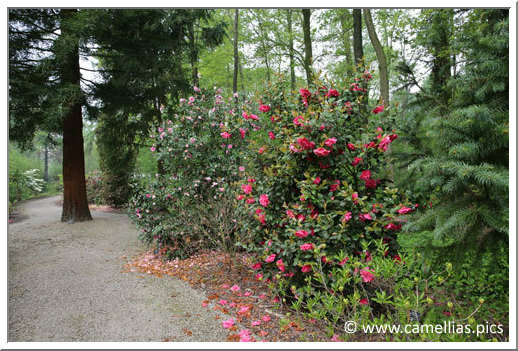 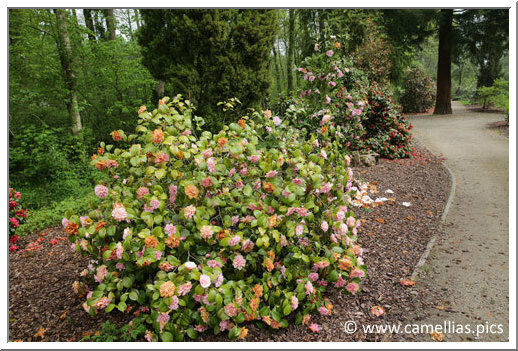 All the camellias are grouped in the smaller part of the garden, facing the parkings. 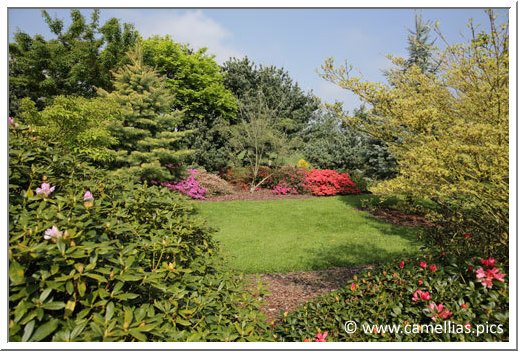 New plants have been added recently. 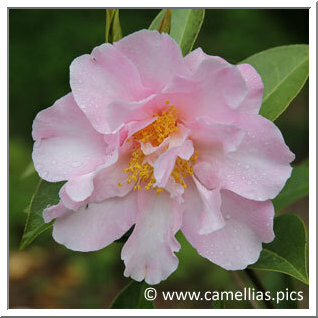 one of the recently planted camellia. 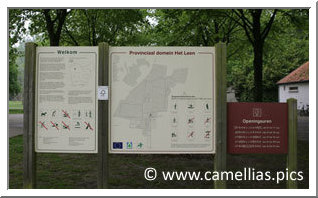 Second part of the visit, on the parking side. 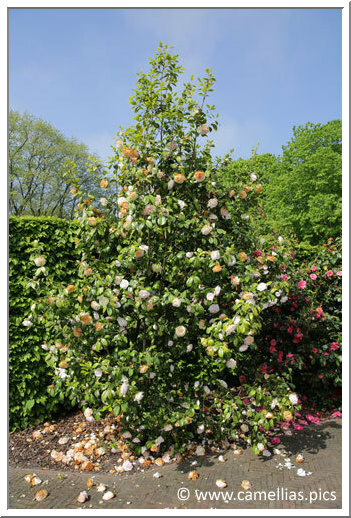 At the back, we can see the end of flowering of magnolias.